In this article, I scoured the web to find the absolute best WordPress plugins to make your website mobile-friendly. I also found a handful that you should definitely not use. I’ll review them all below, complete with a list of features and preview images. Let’s take a look at the good, the decent and the ugly. Spoiler Alert: There’s more ugly than good. In most cases, when deciding on how to optimize your website for mobile devices, I would recommend going with a responsive theme. This means that your website will look good on all devices, as it will respond to various screen sizes (mobile, tablet, desktop, etc.). The same design elements, fonts, colors, and branding are used across all devices. You literally have one website, one design, one brand, and a responsive theme will make it look awesome wherever and however it is viewed. However, sometimes it’s not realistic (or within your budget) to make a responsive website a reality. Was your site built a few years ago and only optimized for desktop screens 1200px and up? Are you stuck with an older, non-responsive theme and developers are quoting you thousands of dollars to make it responsive? Do you love your current desktop site and are reluctant to just pick a new, responsive theme? If any of these scenarios apply to you, don’t panic. You have options. Simple, quick and completely free options to give your users a better mobile experience. There are two dominant WordPress plugins that we recommend, a few others that might be worth a look, and a handful of ones to stay away from. NOTE: I activated every free plugin on this list to personally review it. If you find something that’s not listed here, please let me know, and I’ll give you my thoughts. The WPtouch Mobile Plugin is built by the folks at BraveNewCode (who do really nice work). It’s regularly updated, and has over 400,000 active installs. It’s one of the most popular WordPress mobile plugins out there. For simpler websites, and ones with few pages, the free version should be all you need. I’ll walk you through the features of the free version, but check out the pro version if you need a more robust solution. 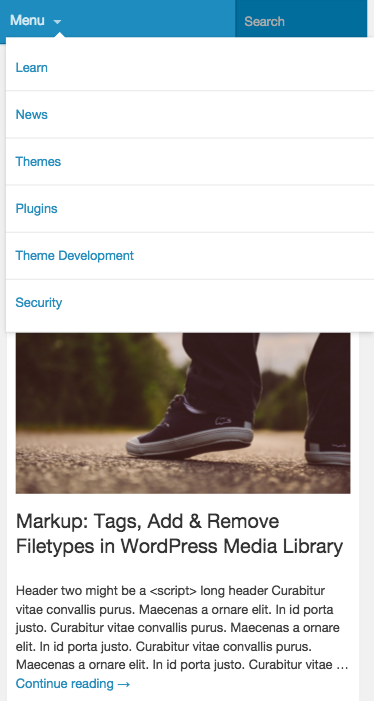 Lots of options to show/hide custom post-types, comments, # of articles displayed, etc. Minimal theme branding is supported. Background, header & link colors. A site icon. Custom footer content. A handful of Google Font combinations. And a decent amount of social sharing options. I activated WPtouch and didn’t touch any of the default options. Here’s a few screenshots of how our site looked. 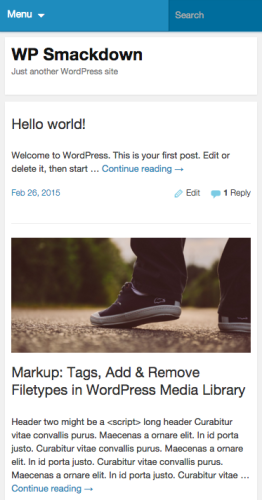 The Jetpack plugin is created by Automattic, the makers of WordPress, so you know it’s reliable. Jetpack is really like 30+ smaller plugins bundled into one. You can activate any one of the 30+ Jetpack modules separately. The Mobile Theme is one of those modules. Let’s take a look at what it can do. Simple, yet effective. Very limited options. 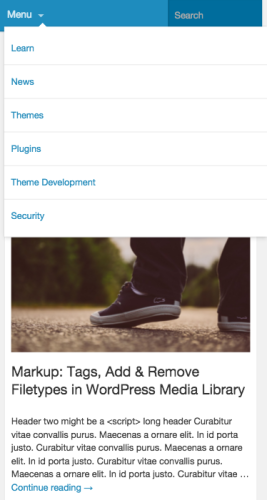 True to WordPress’ philosophy of “decisions, not options,” the Mobile Theme has very few options. 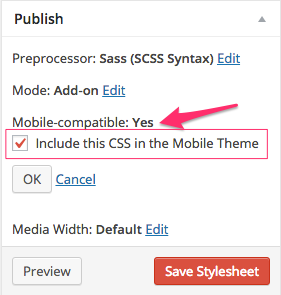 You can, however, customize any part of the mobile theme using CSS. I tried it out with Jetpack’s Custom CSS module. You have to enable an option to include the custom styles in your mobile theme, but it’s really straight-forward. Although I didn’t test any other type of CSS override, anything should work. You should be able to put your own CSS in a custom theme or child theme. 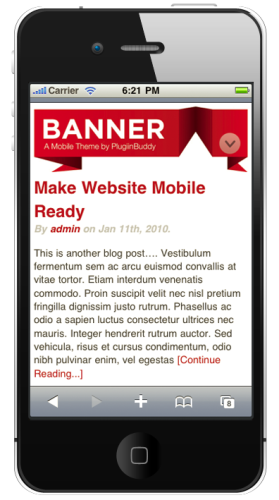 Target the mobile theme exclusively by using the class .mobile-theme, which is applied to the <body> element. I’ll include a few screenshots of the mobile theme below. If I had the money to spend on this one, it might have made the cut in our top picks. But since I couldn’t test-drive it first-hand, I’m giving it an honorable mention. Maybe the guys at Obox will lend me a copy to try out so I can provide a more detailed review. The Obox Mobile plugin clearly displays one of the sleekest designs on this list. It is a premium plugin that will cost you ~$80, but judging by the screenshots and its list of features, it’ll definitely make your mobile website stand out from the crowd. I haven’t tested it out first-hand, but here’s a summary of the listed features (from their website). Some of these plugins are not as well-coded, or feature-rich, as our top recommendations, but they might work if you have a basic site. It’s also possible that you like the design of these plugins more so than our top picks. I realize not all design tastes are the same. Plugins might also be on this list if I have not had a chance to evaluate them, but are built by reputable developers, or companies. All of them are paid plugins, yet still pretty affordable. You probably know Elegant Themes from their flagship Divi Theme, but they produce a small batch of plugins as well. The Handheld mobile plugin is one of them. Let’s take a look at the features. Disclosure: We have a partnership with Elegant Themes and may receive a small commission if you purchase this plugin. That $89 also gets you access to 80+ themes, including Divi, from Elegant Themes. Mobile is built by the notable group over at iThemes. 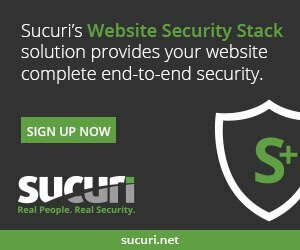 Their more popular BackupBuddy & iThemes Security plugins are their bread-n-butter, but I would assume all their products are well-made. This is another premium solution that will run you $45. I haven’t tested it out personally, but a summary of their features is below. There are a handful of plugins you’ll find on other blog’s lists of top plugins to make your site mobile-friendly, but these are either outdated, no longer supported, or just simply not worth your time. I took the time to vet these out in order to make your decision an easy one. Do yourself a big favor and choose one of the plugins above… not any one of these guys. This hasn’t been updated in over 2 years, and when you’re dealing with a mobile-optimized version of your website, you want something that has kept up with mobile trends. It also only supports up to WordPress 3.6—which, if you’re still using, we need to have a serious talk. You’ve got much more important things to worry about than your mobile site. Duda Mobile is actually a full-fledged product you can purchase, outside of using WordPress. They have built a platform for designing, building & deploying a mobile-only (or responsive) website. If you were not using WordPress, and only needed a mobile-ready, simple website, I’d say give them a look. They have both free and paid plans, but be ready for Duda ads if you go free. The plugin generated 898 characters of unexpected output during activation. If you notice “headers already sent” messages, problems with syndication feeds or other issues, try deactivating or removing this plugin. It’s only settings page in WordPress directs you back to their website to create an account & get started. So in essence, it’s not really even a plugin. It’s an advertisement for their service. This plugin doesn’t actually convert your site into a mobile-friendly version. It gives you the tools to switch to a different theme when a tablet or mobile device is detected. But you still have to create or purchase that theme. Mobile Smart does not provide one for you. Upon activation, the plugin also throws a few errors because it uses some deprecated functions for it’s mobile switching widget. This plugin also generated errors upon activation, just like the two previous ones. I activated it anyway, and when I tried to test it, I got multiple errors in place of any website content. Huge red flag. It’s possible there is a conflict with my theme, but even so, the options this plugin provides are not worth the risk. It’s more of a theme-switching plugin, anyway. It does come with a mobile theme called mTheme-Unus, but it’s nowhere near as user-friendly (or stylish) as our top recommendations. 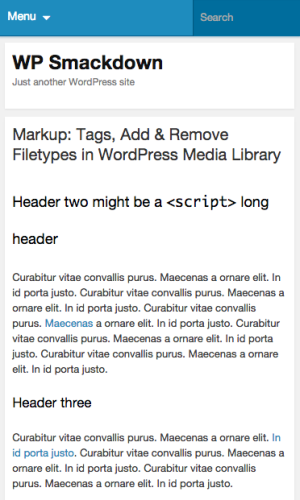 I’ve seen this one mentioned on multiple WordPress blogs as a free plugin, but it doesn’t come up when you search for it in the WordPress Plugin Repository. It looks like it may now only be available as a premium plugin from websitez.com, costing $50. I haven’t tried it, but I did watch the video run-through of its features, and I’m not impressed. The design is sub-par, IMO, and the feature-set is nothing compared to WPtouch and Obox. If you’re willing to pay $50 for a mobile plugin, I’d highly recommend shelling out an extra 20-30 bucks for WPtouch Pro or Obox. I think you’ll get a much higher quality product. 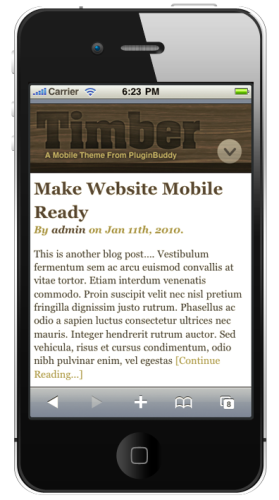 What plugin are you using to make your WordPress website mobile-friendly? And are you happy with it? Please share your thoughts in the comments.